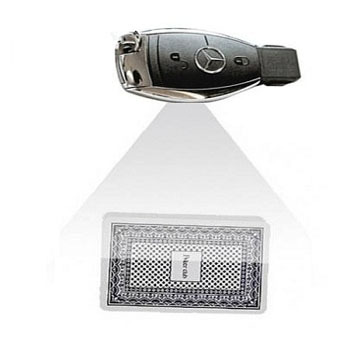 Car key chain camera is a good option to use in card games for cheating. Infrared poker keychain device is easy to use with poker analyzers of all generations. This device scans the pack of cards and collects the information for the analyzer to examine the results of the game. Hidden camera installed in the keychain is undetectable and not visible to the opponent’s eyes. Lock and unlock button on the keychain help user turn on the turn off the device.